Having kids is a fantastic experience but one that requires a great deal of planning. This starts before your children are even born, with prenatal classes, checkups and preparing your home for their arrival. Through every stage of their childhood, it is helpful to have a pediatric doctor on hand who you trust. And it’s not just newborns that might lead you to look for a new pediatric doctor. Maybe you are relocating or aren’t happy with your current clinic. Whatever your reason, we believe the following considerations need to be taken into account when making your decision. Choosing a Pediatric Doctor for your little one is not something you should rush into. It is crucial that you do your research so you can find the best possible option. The first thing to do is to see if there are any clinics within a convenient distance of your home. Searching on Google or a local directory is a good way to start. When you have found a few clinics, spend some time on their websites, looking at the services on offer and the doctors who are available. Make a note of any clinics which make a good impression, then see if you can find any reviews online or get any feedback from friends. Don’t just go for the first doctor you come across because they might not be the right fit for you and your child. Instead, make a shortlist of possible clinics and take the time to visit them before making your decision. Before you call the clinic, check out the profiles of the doctors to see if they are board certified and to learn a bit more about their backgrounds. Board Certification is an important consideration when looking at the available options. 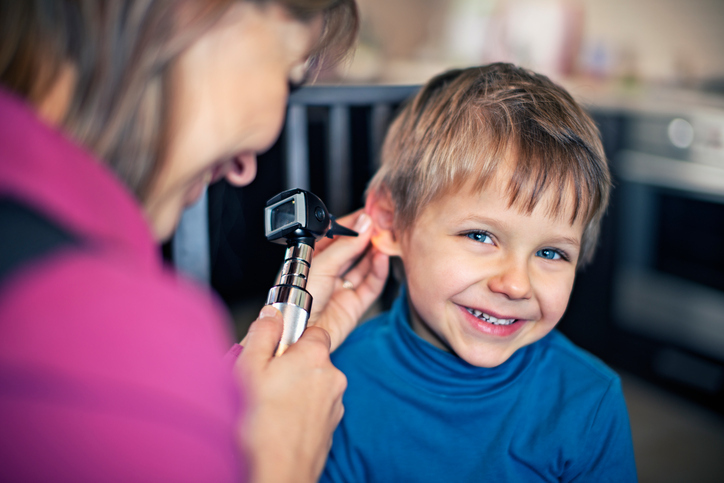 Board-certified pediatricians are committed to continual development in their chosen specialty, which means you can be assured of high-quality care using the most up-to-date techniques. Another important part of your research is making sure that the clinic is in a convenient location. The last thing you want to do is drive an upset newborn halfway across a city for their shots! During your child’s early years, it is much better to find a clinic that is a short drive or walk away from your home. When you have a shortlist of clinics, schedule an appointment to discuss your requirements with the doctor. This is an excellent opportunity for you to get to know the doctor and learn about their background and style, as well as to ask about essential details such as insurance and the clinic’s opening hours. When you have done the rounds, you will be able to make a better-informed choice about which pediatrician will be the best for your child. Finally, once you have visited all the clinics on your shortlist, think about how comfortable you felt with the doctor and in the clinic. Weigh the pros and cons and trust your instincts. If you felt good, then is a great sign; if you are not entirely convinced, then don’t risk it. Your child’s pediatrician will be there throughout your child’s formative years, so making the right choice will save time and stress later.